Nita is a freelance Science Communicator with a science background in Antarctic Glaciology. Having previously worked as the Science Technician at Scott Base, she has supported a number of different science events in Antarctica, and loves anything to do with Antarctica and Earth Science. 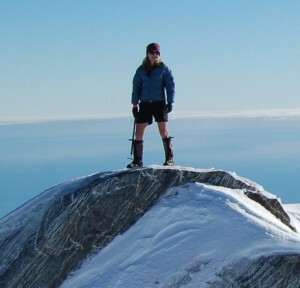 Check out her personal blog site for more stories about science in remote and mountainous regions: www.environmentwithnita.wordpress.com, or follow her on Twitter @Nita_J_Smith. 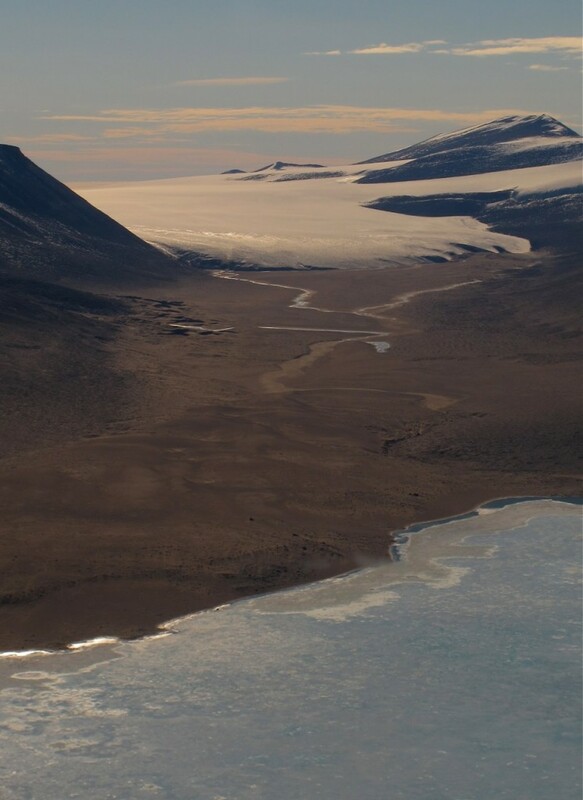 When Scott of the Antarctic ventured into the otherworldly Dry Valleys in 1903, he famously dubbed them “Valleys of the Dead”. Over 100 years later, modern science is proving Scott wrong, showing a surprising abundance and diversity of microbial life. 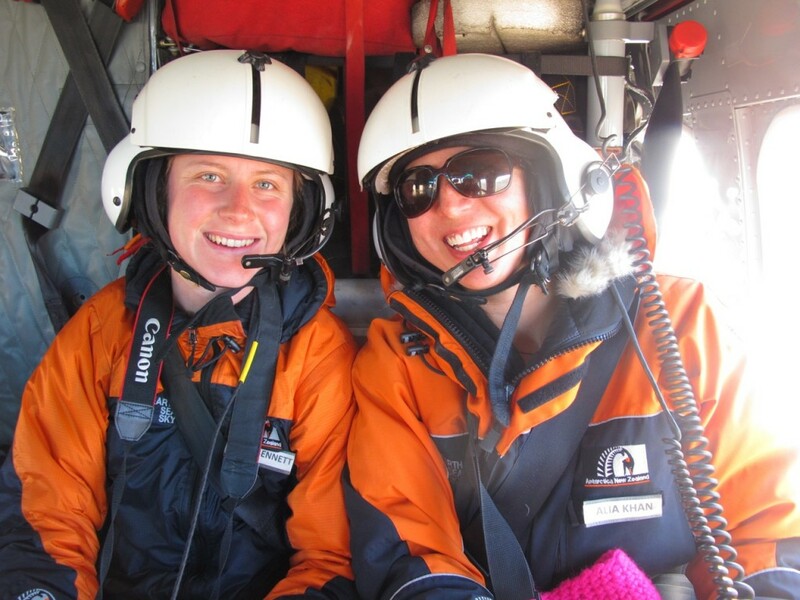 My name is Nita Smith, and I have just got back from Antarctica after joining a group of scientists lead by Professor Craig Cary from the University of Waikato as part of the New Zealand Terrestrial Antarctic Biocomplexity Survey (nzTABS). 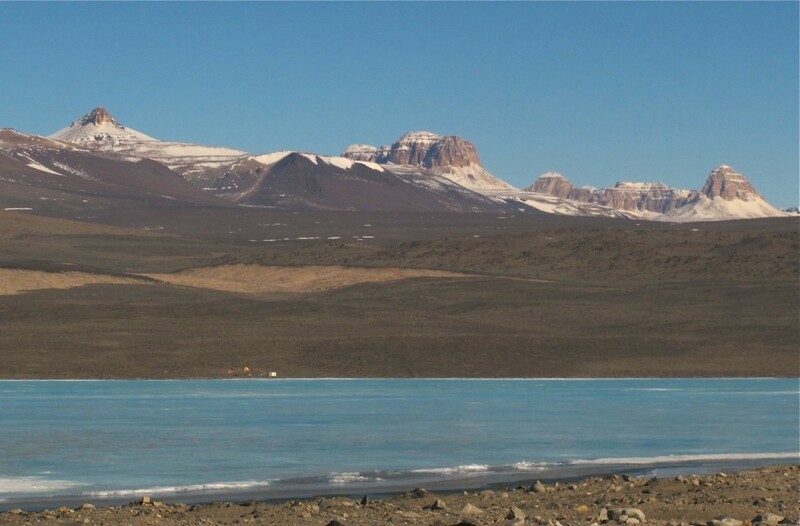 I was lucky enough to spend 2 weeks in the Victoria Valley, which is a northern valley in the McMurdo Dry Valleys. 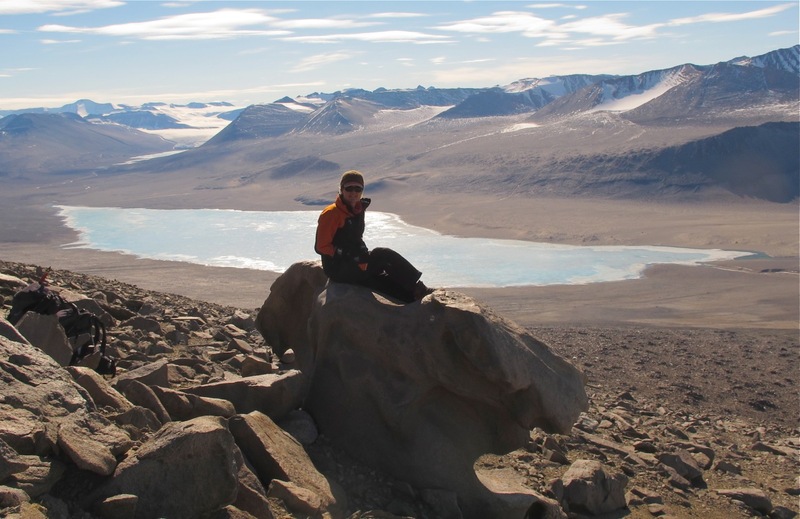 I am a freelance science communicator with a background in Antarctic glaciology and geomorphology so it was with excitement that I joined a group of primarily biologists in the wilds of Antarctica, and learnt a thing or two about LIFE. 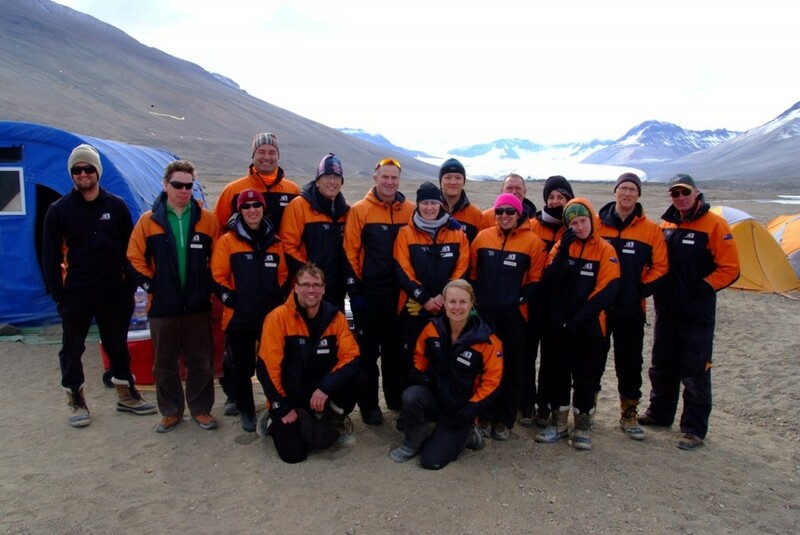 The nzTABS mission is a multiyear, multidiscipline, multinational project focusing on examining the biocomplexity of terrestrial ecosystems living in the extreme environments of the Ross Dependency, Antarctica, and building a model to link biodiversity with landscape, and environmental factors. Antarctic terrestrial research is currently going through major changes. Original understanding of these extreme environments is that they are poor in nutrients with small and simple biology, which are ancient and slow growing. New modern research techniques are finding a different story! There are biological systems supposedly thousands of years old, now carbon dated to less than 100 years, and soils once thought lifeless are found to be supporting microbial life at levels approaching those of temperate areas. “You will be walking in places that know one has ever walked before.” When Professor Craig Cary outlined the logistics of our field expedition, It was at this point, that I started to get really excited. The expedition had multiple aims with the focus being to collect soil samples, vegetation transects and invertebrates from 75 locations spread far and wide in the Victoria Valley. This required being dropped by helicopter high in the mountains, and using the sub camps to hike back to the base camp. The unique and exciting part about this field expedition, was that while soil sampling was the main objective, the diverse nature of the scientists also meant that there were a number of secondary science objectives. These included but were not limited to the collection of springtails for genetic analysis, climatology, and cosmogenic rock sampling to date the landscape. Kurt Joy, a phD candidate at Gateway Antarctica, University of Canterbury is an expert on glacial geomorphology. 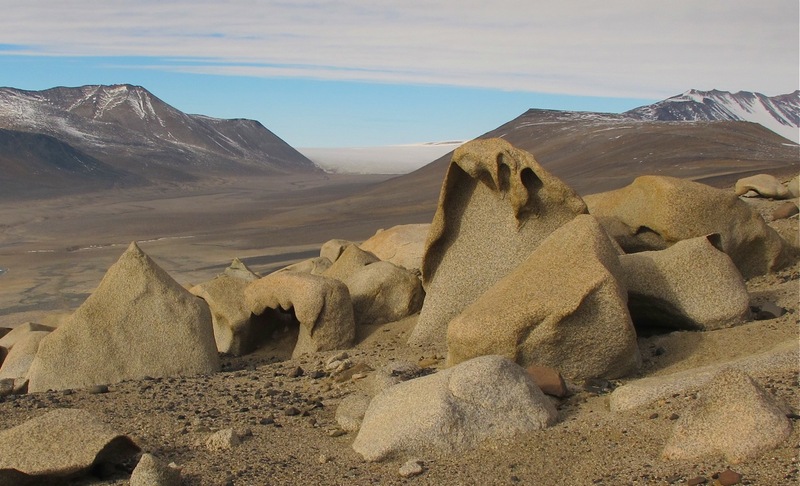 While Antarctica itself is alien enough to most, the Dry Valleys are a rare oddity in a continent predominantly covered in ice. As Kurt gave me the “in a nutshell” geological history of this valley, what struck me the most was that there is nothing to hide this history. There are no trees to obscure the landscape. It is a geological feast for the eyes. You see chocolate brown layers of Ferrar Dolerite injected into creamy Beacon Sandstone. You see a present day glacier terminating up the valley as if carved off perfectly by a giant cake icing knife. Lake Vida used to be 200m deeper at the Last Glacial Maximum 15,000 years ago. It has left terraces perched high on the valley sides, and ancient glaciers have left lateral moraines even higher. This valley is the closest analogy to Mars. Glen Stitchbury, a Geographic Information Systems specialist from the University of Waikato had combined satellite information: elevation, slope, surface temperature, geomorphology and aspect to divide up the entire 300km2 Victoria Valley into 1241 different distinctive tiles. Based on the previous years sampling a computer model had been created to predict the biological taxa that should be found within each tile. We needed to test this. Luckily we DID NOT have to sample all 1241 tiles. Instead 75 random tiles were chosen. On my first sampling multiday mission, Professor Steve Pointing, from the Ecosystem Ecology from the Earth and Ocean Sciences Research Institute at AUT and I were dropped off by helicopter at 1700m elevation high on the Olympus Range. A vista of naked mountains and perfectly sculpted glaciers were matched with distant icebergs in the frozen Ross Sea. One of the difficult things to judge in Antarctica is the distance. The atmosphere is so crisp and the scenery so big, that without trees for scale judging distance is almost impossible. More than likely if something looks 1km away, it is probably 10km away. We hiked our way down through ancient mountain landscapes taking samples along the way. As we travelled, we crossed an assortment of distinct and beautiful landscapes: weathered slabs of granite bedrock, desert pavements of dolerite, sandy polygons, and dreaded chunky boulder fields. 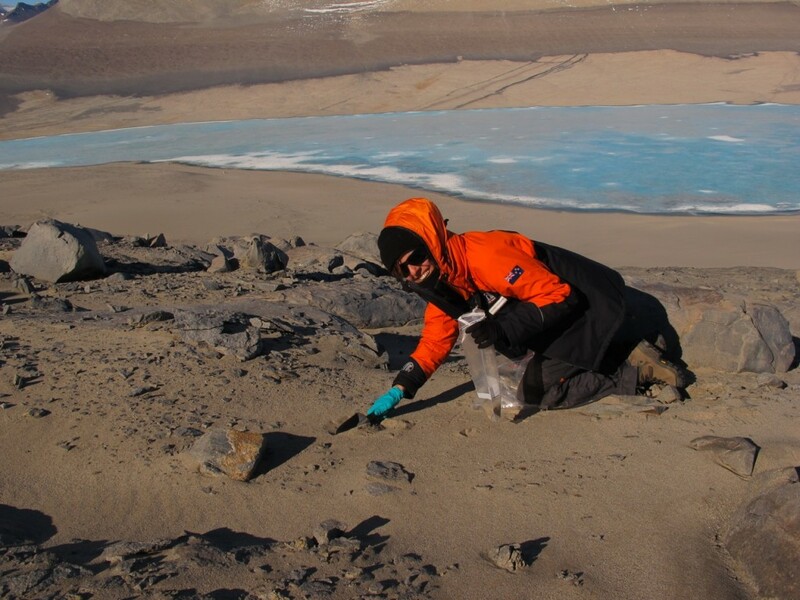 Taking a sample involved carefully collecting soil samples, conducting a vegetation transect looking for lichens, mosses or cyanobacteria and lastly spending 10 minutes hunting beneath rocks for springtails and mites, the only VISIBLE invertebrates that live in Antarctica. On my second multiday sampling mission I was teamed up with Kristi Bennet. 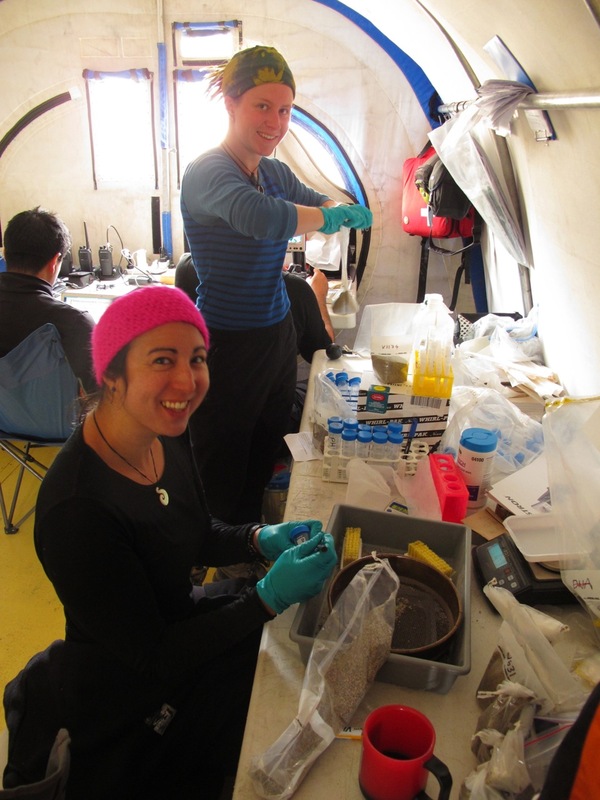 Kristi is a Masters student from the University of Waikato studying population genetics of springtails in the McMurdo Dry Valleys. Springtails are the largest living terrestrial organism in Antarctica, measuring in at a whooping 1-3mm. Springtails and Mites are the ‘lions and tigers’ of Antarctica, top of the food chain – the mega fauna! Springtails are found worldwide and are the words most abundant soil arthropod. They have a long evolutionary history and are one of the first arthropods that show up in the fossil record. There are 3 species found in the Dry Valleys. During this expedition Antarcticinella monoculata was found for the first time since the 1960s. A specially designed aspirator was used to collect Springtails and Mites. They are sucked up through a tube. To prevent eating them, they are caught on a filter and fall into a plastic vile. On our hike back to the main camp we stayed at sub camp 2, where an array of interesting and alien looking gadgets were set up along the lakeshore. A SODAR (sound detection and ranging), and a RASS (radio acoustic sounding system) were set up to measure wind speed, wind direction and temperature in a vertical profile from the ground up to 500m. Peyman Zawar-Reza and Marwan Katurji, both lecturers at the Centre for Atmospheric Research at the University of Canterbury, were doing research into microclimate. 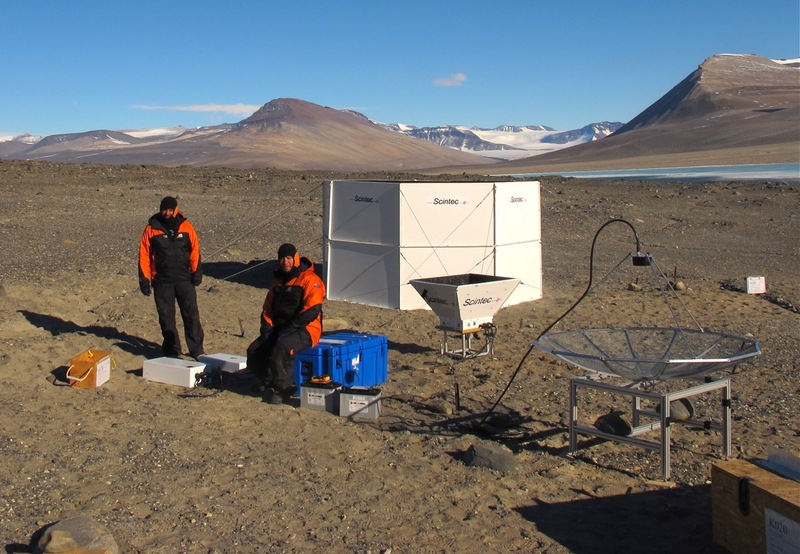 To understand the biocomplexity of the Dry Valleys ecosystems, it is critical to understand the microclimate. Temperature and water are critical for life. What causes surface temperature to rise above freezing? And what causes precipitation? The Dry Valleys are dry. They receive around 50mm of precipitation per year at the valley mouths and almost nothing at the head of the valleys. Why? Because of the rain shadow effect from the Transantarctic mountains. Simplistically, in the summer under 24hour sun, when there is regionally calm weather, winds are driven by thermal circulations causing up valley winds during the day. During the few hours when the low sun casts shadow into the valleys, the temperature drops a few degrees and there is a weak down valley wind. The major weather comes from the outside, in summer low-pressure systems bring strong winds into the valley, and if dense with moisture, snow will fall. In the winter when the circumpolar vortex strengthens, low-pressure systems cause hurricane strength relatively warm foehn winds to funnel down into the valleys. These are the strong winds that pick up sand and blast and erode the rocks causing sculpted ventifacts. Marwan and Peyman’s secondary research aims were to understand aspects of the atmosphere very close to the surface – below 500 m. Specifically how the wind interacts with topography, turbulence, waves, and the forcings behind them. 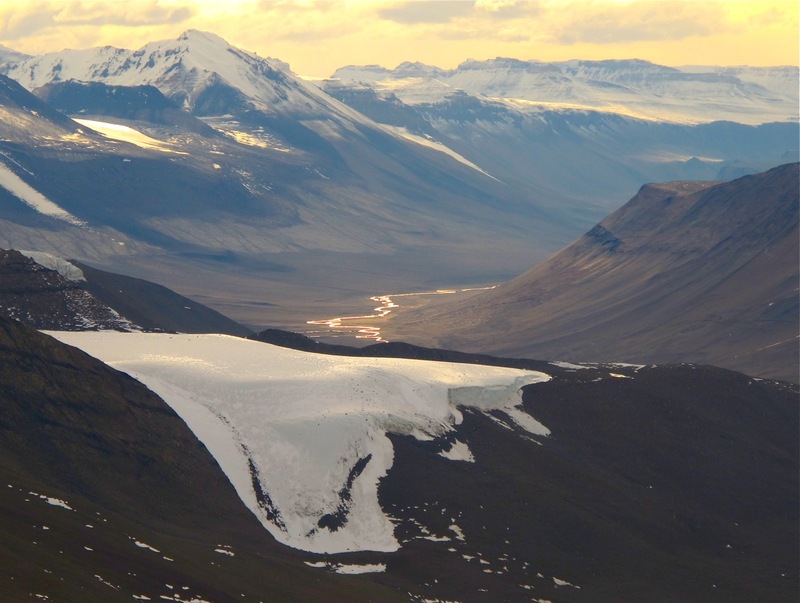 The dry valleys represent a simplified system with no vegetation, which is ideal for theory and hypothesis testing. 75 samples later, 100 springtails, 300 mites, cosmogenic rock samples, 2 weeks of high resolution climate data, and it was a wrap. Back to Scott Base, dekit, and north. Another successful season from the nzTABS team. More information can be found on the International Centre of Terrestrial Antarctic Research website ICTAR (www.ictar.aq).